MILWAUKEE (November 26, 2012) A new Crate Engine Shortblock from Harley-Davidson® Genuine Motor Accessories® can be the perfect starting point for building a custom Twin Cam engine. These shortblocks are manufactured and assembled on the Harley-Davidson Pilgrim Road engine assembly line for exceptional quality and reliability. Shortblock cases, flywheels, bearings and rods are preassembled. 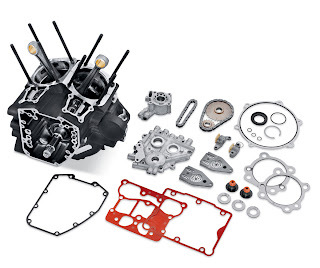 The kit includes current-spec Original Equipment cam plate, oil pump, and cam drive components, and the gaskets, seals and most of the hardware required to complete the engine and install it (some components not shown). Select one of the Screamin’ Eagle Stage kits to finish the engine with cylinders, heads, and cams for desired displacement with reliable performance. Harley-Davidson decorative engine covers can customize the look. 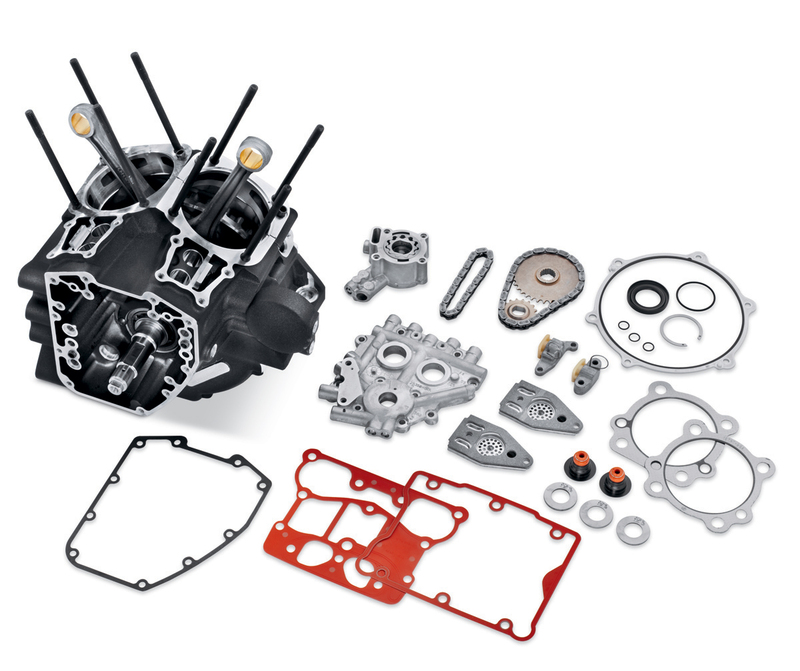 Shortblock Assemblies are finished in black powdercoat, and can be the basis for 96 CI to 103 CI engines. Each is stamped with a new VIN number, and includes MSO (Manufacturers Statement of Origin). Kits ship directly from the factory within three to five days. P/N 16200070 ($1,695.00) fits 2007-later Dyna® and Touring models (except CVO™). P/N 16200071($1,995.00) fits 2007-later Softail® models (except CVO™).